Remember when you drank a beer because you could settle in and drink the same thing all night? Back then, balance and complexity were not bad words. This Pale Ale has a very pleasing orange citrus, floral and pine aroma. The flavor doesn’t disappoint. A delicious balance of malt and spicy rye as well as lemon, orange, and grapefruit citrus reward you from start to a very pleasing finish. As you ponder the next sip, a slight caramel reminder tells you there is more where that came from. This delicious Scotch Ale is taken to another level by the time it spends on bourbon-soaked toasted white oak. Everything you could ever ask for in a beer, hops not included. You will spend so much time enjoying the aroma of vanilla, caramel, bourbon, sherry, and dark fruit you might forget to take a sip. The sweet, complex malt will explode on your palate, present a wide array of flavors, and warm your soul. Every sip is a thrill ride. Your experience will confirm that the inspiration was spot on: One Bourbon, One Scotch, One Beer. Everything you like about The Haze Craze in one glass. A huge aroma of citrus, passion fruit, guava, and even lime carry over into an explosion of juicy deliciousness. The aromas and flavors overlay a delicious malt base amplified by the creamy and silky texture that only an addition of oats can deliver. This is still an evolving style, and unlike more traditional IPAs, the bitterness is intentionally subdued and smooth, rather than firm or even biting. If classic IPAs have let you down, this new twist will surprise and delight you. A delicious twist on a classic Belgian treat. The Witbier was something that had been forgotten for over a decade until Pierre Celis revived it in a small village east of Brussels, Belgium. This beer is a nod to the classic, starting with the original revival base of white wheat, Pilsner malt and oats. Curacao orange peel and coriander are lightly added for complexity, and a Belgian yeast completes the profile for a fragrant, delicate, refreshing summer beer. Our twist is the addition of Blood Orange in just the right amount to amplify and add to the delicious orange character in a very pleasant way. No garnish required. Inspiration often takes you to places you didn’t know you wanted to go. While experimenting with a recipe for the new dry, Brut IPA style of beer, Phil found some things he liked that he could use to improve the classic Belgian farmhouse ale—Saison. This Saison has the dry, crisp drinkability of the best examples with pleasant fruit and spicy notes from the special yeast, however, it is augmented with tropical notes from a hop that wasn’t available just 5 years ago. This complex yet refreshing beer is the perfect beer to quench your thirst for something different on a hot afternoon. If you wander into Little Havana on your next trip to Miami and order a coffee, they serve it only one way: black, sweet and strong enough to clear out all of your cobwebs. This stout is roasty with coffee and chocolate flavors and aromas, but not harsh like some strong stouts. The mouthfeel is enhanced by a creamy silkiness that comes from oats and milk sugar. The flavors are intense, like an espresso, yet are balanced by just the right amount of sweetness to make you crave more. An eye-opener of the first order. The perfect beer to remind you hops aren’t everything. Intrigued? 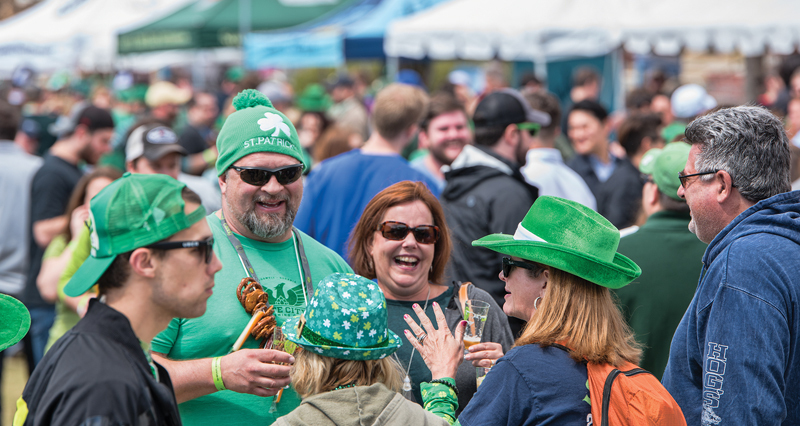 Get your tickets for the 9th annual Suwanee American Craft Beer Fest today! Sign up to stay in the know during our construction!